1. 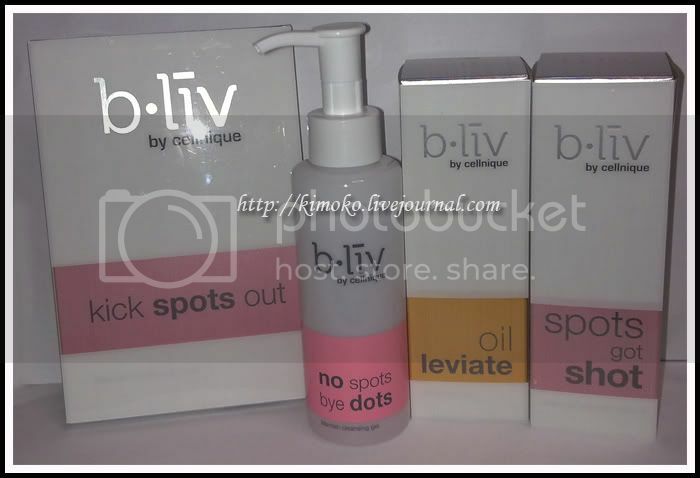 Use No Spots Bye Dots 2 to 3 times daily, morning and night. 3. Pump 1 to 2 pea-sized drops of No Spots Bye Dots onto your wet palm and lather with water. 4. Apply gently onto your face using upward circular motions. 5. Rinse well with plenty of water. 6. The content of the product can be used for 12 months after opening. 7. The product lasts up to 3 months until completely used. Purified Water (Aqua), Glycerin, Acrylates Copolymer, Cocamidopropyl Betaine, Methyl Gluceth-20, Sodium Lauroyl Sarcosinate, Propylene Glycol, Sodium Hydroxide, BHA (Salicylic Acid), Diazolidinyl Urea, Fragrance, Triclosan, Citric Acid, Methylparaben, Aloe Vera (Aloe barbadensis) Extract, Dimethyl MEA, Propylparaben. This product is a great one! Love the smell and my face feels refreshed! This cleanser is the best I ever used! Yes, it's really effective. And I'll keep using it as well. Really love the fruity scent of this cleansing gel! It's gentle, but keeps my skin clean. I think the scars on my face have lighten quite a bit after 2 weeks of use! Yay to bliv! I has been finish one bottle of this no spots bye dots, and going to purchase the second bottle. I had a very sensibility and acne skin problem. I even allergic for some luxury branded face wash, but this pinky bottle was very suitable for me, and able to control my acne and oily problem. Can feel the face was clean but did not tight. Juz the smell make me feel not comfort, coz I was the person dislike any smell....btw, it's a good product for acne problem skin. I used this product for a week when I was living with my friend. This is one of my favorite cleanser now. It can give me a fresh and clean feeling, and I love the foam and smell. The most important thing is that, unlike other anti-acne cleansers, my face does not feel dry after cleansing with this one. Highly recommend. i really like this product. i just got it today. and tried it just now, it smell really good, so fruity. and the foam is very tender. i did not feel tight after washed, i will keep using the product. One of the "Best" face cleansing gel! I have to say I like this product more than the squeaky clean. This is great for people who has oily skin, because it creates forms with water. So it's much easier to remove the oil from your face after a long hot summer day. I would definitely recommend this to friends and family. before i used this cleanser, i had a very bad reaction from using a wrong kind of toner. Before that i had only had the occasional breakout. When i bought this cleanser i was hoping it would prevent any more bad breakouts and this product exceeded my expectations! It not only cleared out skin, it got rid of most of the pimples from the horrible toner and got rid of most of the redness. Now my skin is almost back to normal except from the occasional pimple which i use 'spots got shot' for. i highly recommend this product to anyone who is looking for a cleanser that is not drying and gets rid of most pimples without being too harsh on the skin. Definitely going to repurchase once i run out. This cleanser lathers nicely and has a pleasant smell.